All orders are shipped UPS Ground. Delievery is based on distance. See the map below for approximate delivery times. 3 day select, 2 day, and next day are available upon request. Special UPS rates apply. The Cartner Christmas Tree Farm is not responsible for late deliveries by carrier. A full refund will be given if order is cancelled 1 week prior to the day of scheduled shipping. 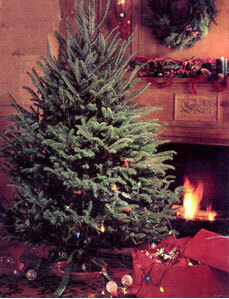 If your product is damaged during shippment, please call 877-384-TREE (8733). We do not sell or share personal information such as name, address, telephone number, or email address.